We are positively giddy to share this massive treasure trove of information on digital advertising, email, web traffic, social media, mobile messaging, website performance, user behavior, fundraising, advocacy, marketing, organizing, and more. In fact, we are SO thrilled to share this incredible array of detailed data that we put together a little sneak peek of some of the most important big-picture findings. 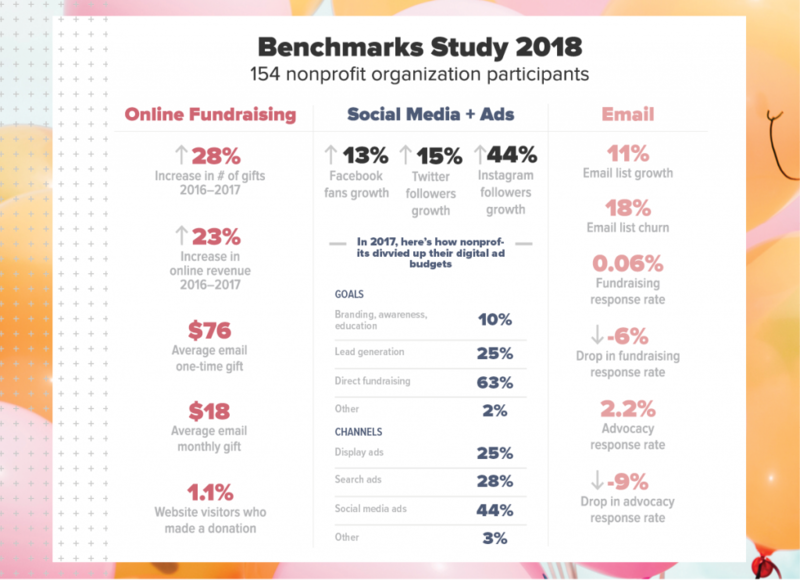 Check it out now, and then sign up to receive a free download link when the full Benchmarks Study goes live on April 25. That’s just the first handful of dots, and the full Benchmarks Study will connect them for you on April 25. Sign up now and you’ll be the first to know when it’s available to explore.